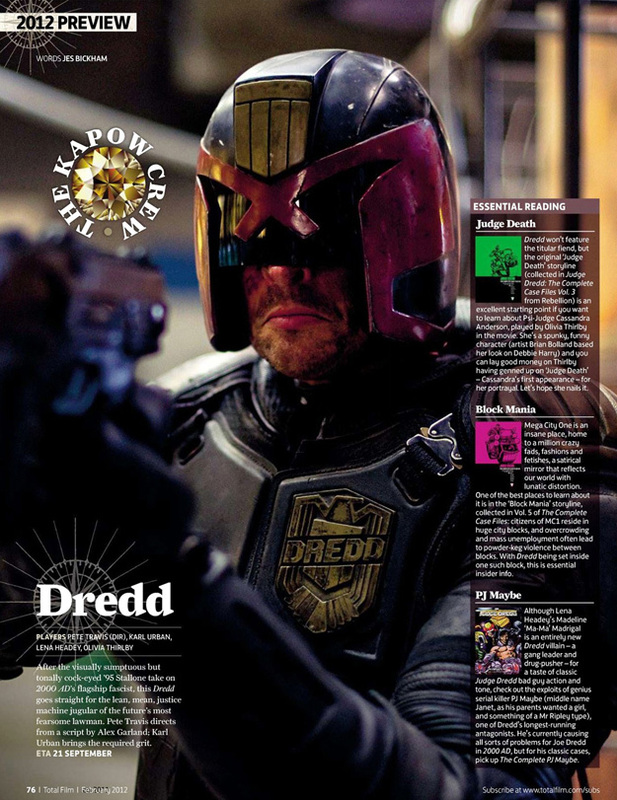 Thanks to Total Film, we have a new image of Karl Urban as Judge Dredd in the Pete Travis-directed film Dredd. I think Urban is going to be completely badass in this role, and I'm excited to see him in action. The script was written by Alex Garland (28 Days Later, Sunshine) and the film also stars Olivia Thirlby and Lena Headey. Dredd hits theaters September 21st, 2012.